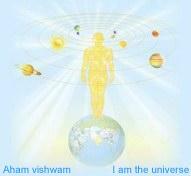 "Jyotish should never be taken on any level other than the level of Vedanta. From this level we are led to realize our true identity - as an infinite eternal blissful soul - free from the consequences of ignorance and suffering." The knowledge of Vedic astrology (Jyotish Vidya) was traditionally passed down from master to disciple for thousands of years ensuring the purity of the teaching. Unfortunately such illustrious teachers are rare today and we have to struggle to learn from incomplete and/or incorrectly compiled manuscripts. Some of these treatises (translated manuscripts) are available here in our "Online Library" for the benefit of all sincere students. "I shall proceed to narrate to you the science of astrology as heard through Lord Brahma.Only good will follow the teaching of this science to students who are peacefully disposed, who honor the preceptors (and elders), who speak only truth and who are God-fearing. Woeful for ever doubtlessly will it be to impart knowledge of this science to an unwilling student, to a heterodox, and to a crafty person." A branch of knowledge or study dealing with a body of facts systematically arranged and showing the operation of general laws. The word science comes from the Latin word "scientia" meaning "knowledge" and, in the broadest sense, it is any systematic knowledge-base or prescriptive practice being capable of resulting in prediction. Sincerity and integrity are the most essential qualities needed for a student wishing to grasp the essence of this most divine science. Although Jyotish is known as the "Eye of the Veda", by definition it transcends all religious doctrine as everyone alive today; whether Jewish, Hindu, Muslim, Buddhist or Christian, is subject to the same cosmic laws that govern and dispense our karma. Mrs.Wendy has had a presence on the Web since 1998. This website, replacing the earlier GeneshAstro site, is more recent. She has studied and practiced Vedic Astrology since 1989..twenty plus years and still learning; a lifetime is not enough to traverse this vast ocean of knowledge. Mrs.Wendy is a founder member of P.G.A. 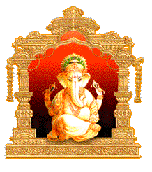 and holds certificates in both Western and Vedic Astrology. This is a great platform to discuss the finer points of Parasari Jyotish. Both senior astrologers and students alike can benefit from these discussions. Members should be aware however that a discussion board/forum is not the place for a personal consultation. "One who reads, or listens with attention and devotion to this most excellent Hora Shastra, becomes long-lived and is blessed with increase in his strength, wealth and good reputation." "A child is born on that day and at that hour when the celestial rays are in mathematical harmony with his individual karma. His horoscope is a portrait revealing his unalterable past and its future results. But the natal chart can be rightly interpreted only by those of intuitive wisdom; these are few." "The development and progress and downfall of the people, and the creation and destruction of the universe are all under the administration and authority of the Grahas. Therefore they are most venerable."